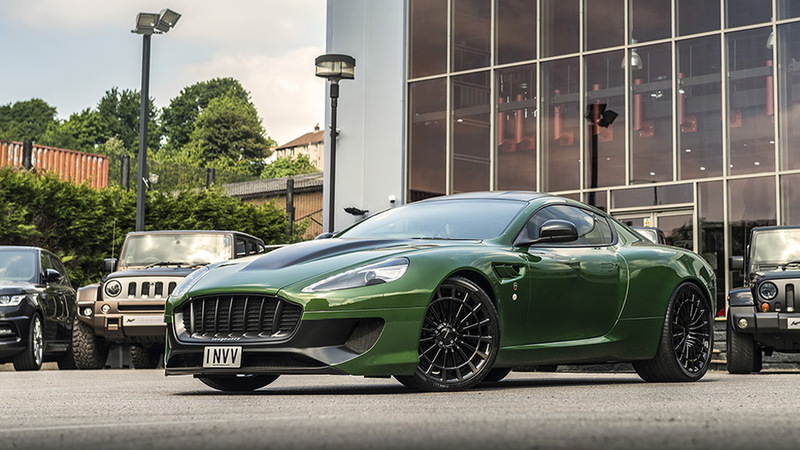 Having felt that the second-generation Aston Martin Vanquish lacked the aggression of its predecessor, Afzal Kahn, founder of British coachbuilder Kahn Design, was inspired to come up with its own successor to the original Aston Martin super GT. The result was the imposing WB12 Vengeance unveiled to the world at the 2016 Geneva auto show. 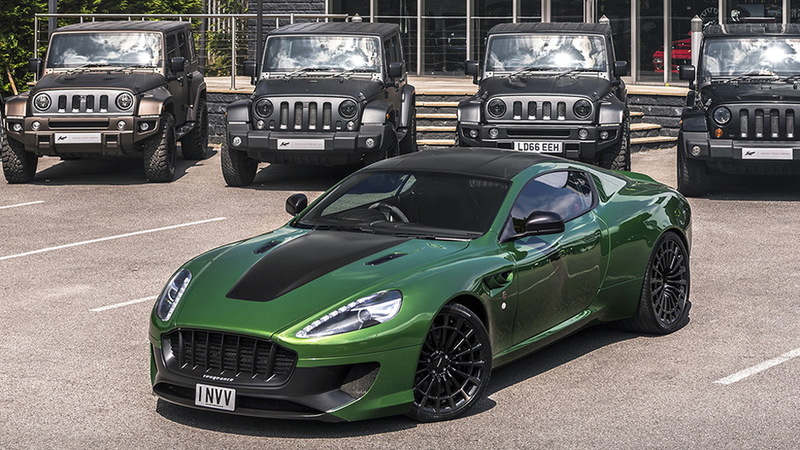 Kahn Design this week revealed another completed example, this one finished in an exterior hue that would make the incredible Hulk green with envy. The exterior also features black accents to highlight areas such as the hood's power bulge whose lines continue onto the new roof panel. The designers have chosen to have the Vengeance's unique front grille also finished in black, though the teeth-like design can be ordered in chrome brightwork should the customer desire. 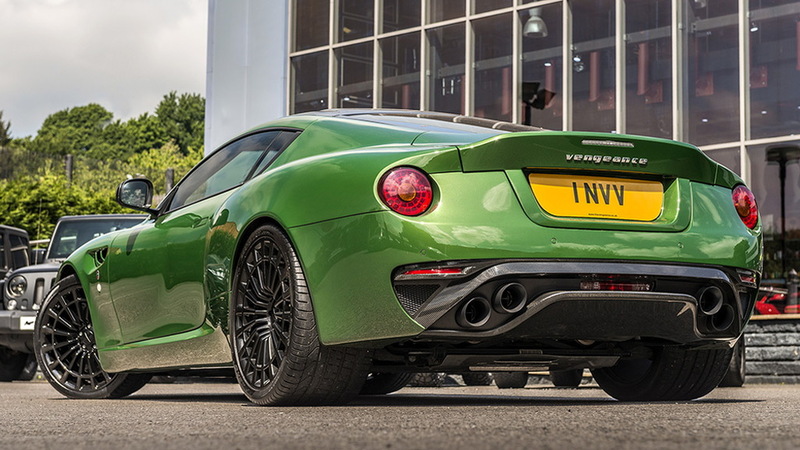 And the designers have chosen a more aggressive quad-tip exhaust system instead of the dual-tip design seen on previous examples of the Vengeance. 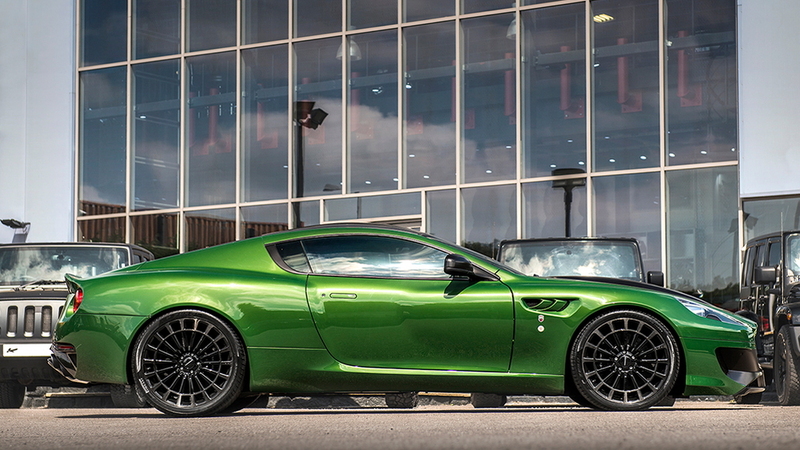 The Vengeance is based on the donor chassis of a DB9, which Kahn Design sourced new from the Aston Martin factory. Every panel has been replaced in hammer-formed aluminum panels, while the front and rear fascias use lightweight composite materials including carbon fiber for the front splitter and rear diffuser. One of the most prominent features of the design are the hate-it-or-love-it wheels, which measure 20 inches in diameter at the front and 21 at the rear. The number of spokes increases from sixteen at the front to eighteen at the rear, lending extra visual weight to complement the delicious pumped rear fenders. This bias is reinforced by the varied width of the tires, 225 at the front, increasing to an extreme 335 at the rear. There aren't any mechanical upgrades, which means peak output of the front-mounted 5.9-liter V-12 remains capped at 510 horsepower and 457 pound-feet of torque. For the transmission, buyers have the choice of six-speed manual or six-speed automated manual transmissions. 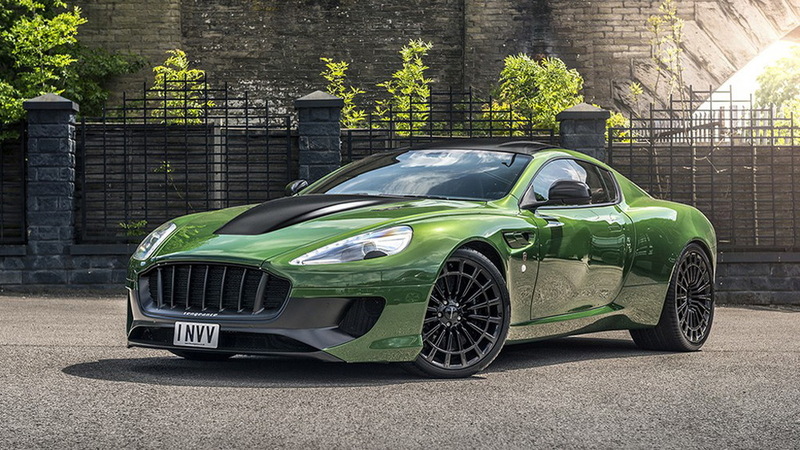 Note, Kahn Design also has an open-top version of the Vengeance, known as a Volante in Aston Martin parlance. However, this model was limited to just three cars so is likely sold out.